The Newton County Sheriff’s Office in conjunction with the 14th Judicial District Drug Task Force served a search warrant at the Mark Mock residence, known locally as Mockingbird Hill, south of Jasper early Sunday morning. Sheriff Keith Slape said Deputies and Investigators executed the search warrant following an ongoing investigation and seized methamphetamine with a street value of between $17,000.00 and $20,000.00, some marijuana, a large quantity of drug paraphernalia, two vehicles and cash. Seizure paperwork will also be filed on the real estate property where an ongoing drug operation has been taking place. Arrested at the residence was Mark Allen Mock, aged 58 and Deborah Sue Vanderpool, aged 51. Various charges are pending further investigation, but will include Delivery of Methamphetamine, Possession of Drug Paraphernalia, Possession of Methamphetamine with Intent to Deliver, Resisting Arrest and others. 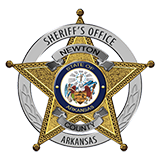 Newton County Sheriff’s Office, the 14th Judicial District Drug Task Force, and the U.S. Forest Service participated in the operation.